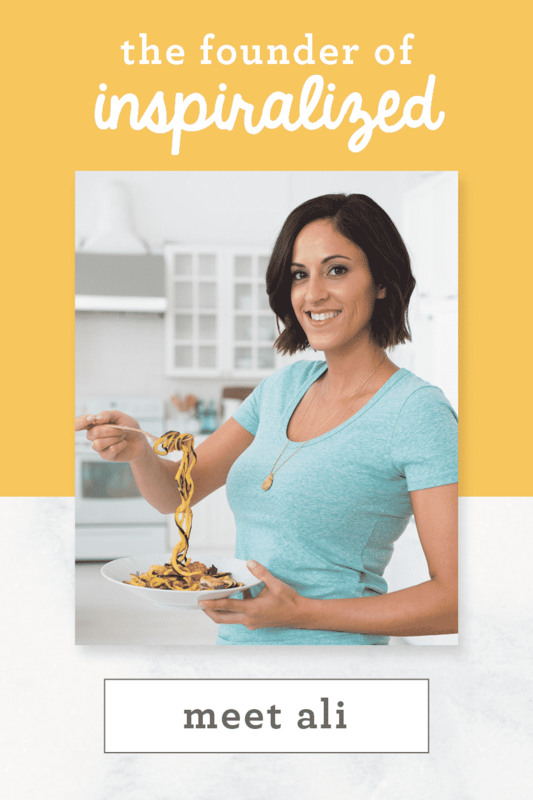 If you’re ever throwing a dinner party and need to pre-make all the food so that you aren’t in the kitchen the entire time, I have the perfect, fun recipe idea for you today. 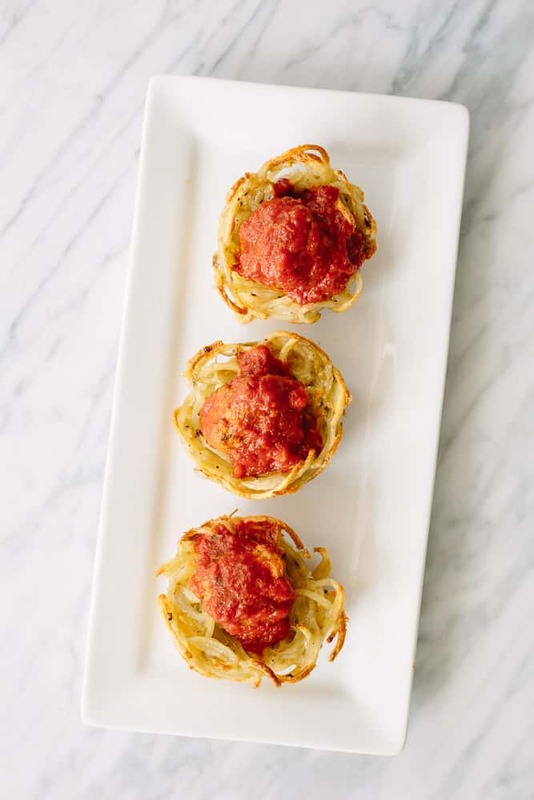 These spiralized potato noodle cups are so cute, you’ll want to make them all summer long at get togethers – to impress your guests and most importantly, their tastebuds! And besides, who doesn’t love spaghetti and meatballs? Finger foods are always my favorite part of BBQs, dinner parties – all sorts of get togethers, really. I always love loading up my plate with different foods – different flavors, different consistencies, and different types of ingredients. I love cocktail hours at weddings and events that say on the invite, “Heavy hors d’oeuvres provided” or even “Light bites provided.” I get excited, because I start to think of all the fun foods – even a good pigs in a blanket is enough to do it for me! These spiralized potato noodle cups can be an actual dinner, if you serve them with a side salad or extra veggies – OR, they can be an appetizer. 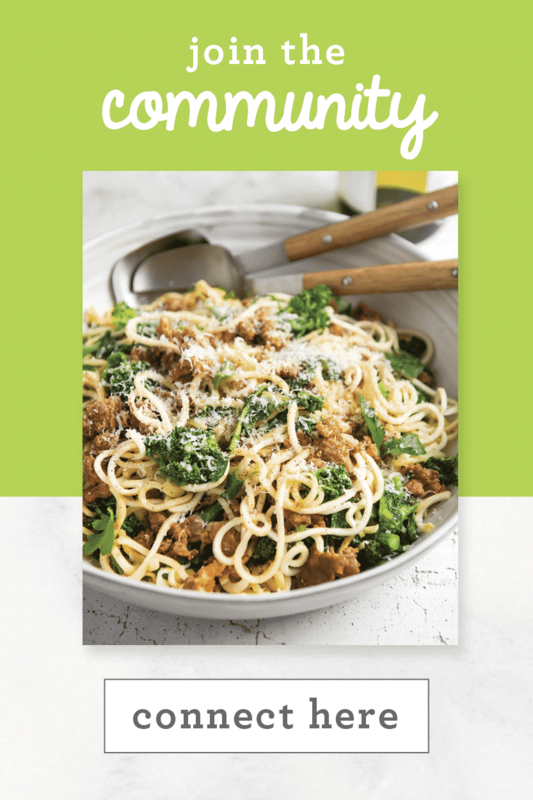 During the summer, it’s hard to serve up spaghetti and meatballs to your guests, especially if your outdoors. The solution? 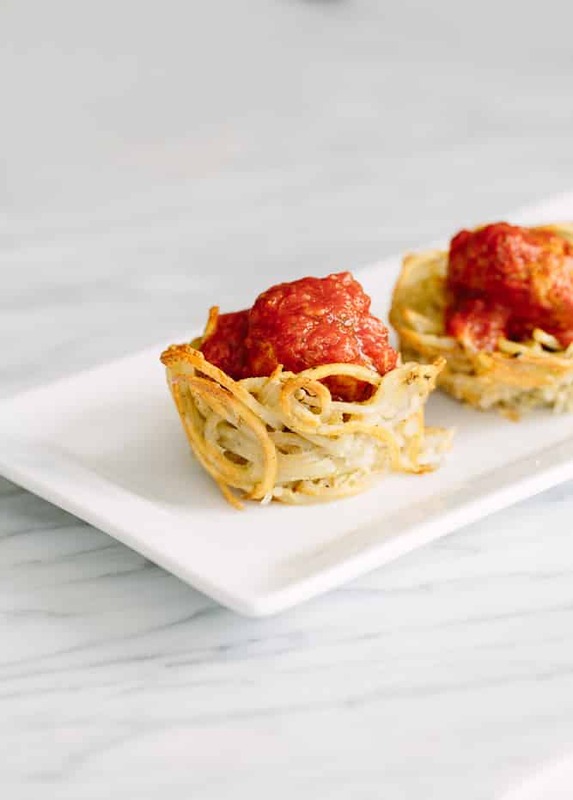 These spiralized potato noodle cups with meatballs! I used Victoria Fine Foods‘ Organic Tomato Herb sauce which is a perfectly seasoned sauce to complement the simplicity of the potato flavors. To make this dish so easy and last-minute friendly, I used some chicken meatballs I had frozen in the refrigerator. 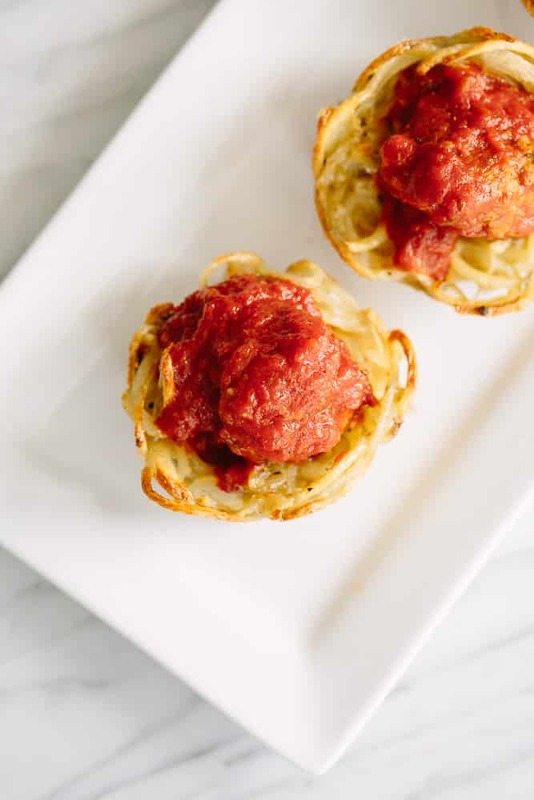 All you need to do is bring the sauce to a simmer in a skillet, add the meatballs to heat them up, and then add them to the finished potato noodle cups! 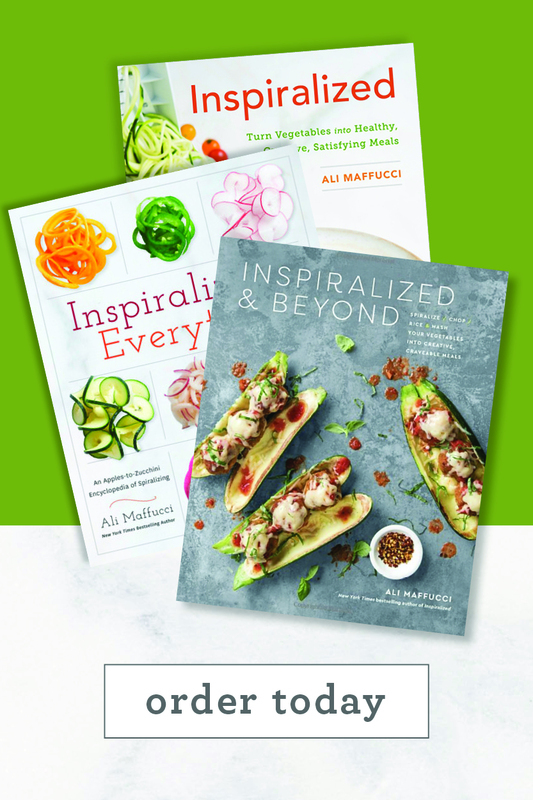 I can’t wait to see you all making these spiralized potato noodle cups – make sure you use the #inspiralized hashtag on Instagram, so I can see and regram my favorites! Disclaimer: This post is sponsored by Victoria Fine Foods, although all opinions are my own, always. Heat oil in a large skillet over medium-high heat. Once oil is shimmering, add in the potato noodles. Season with salt, pepper and garlic powder and toss. Let cook for 7-10 minutes or until cooked through and lightly browned. Transfer to a medium mixing bowl. Let cool for 2 minutes. Add in the eggs to the bowl and toss thoroughly to combine. 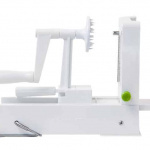 Pack the potato noodles into the muffin holes, trying your best to create a cavity in the center. Bake in the oven for 15 minutes or until potato mixture has set. While potato cups bake, pour the tomato sauce into a small skillet and bring to a strong simmer. Add in the meatballs and let heat while potato cups cook. When potato cups are done, remove and align on a platter. If serving immediately, place one meatball on top of each potato cup and top with extra sauce, if desired. If not serving immediately, transfer the cooked meatballs to a serving bowl along with pasta tongs. Let guests make their own meatball cups and serve themselves! Can't wait to try these! Did you try them with parsnips instead of potatoes (guessing since parsnips appears in #3), and if so, did they work? I love using parsnip noodles. Thanks for the link to yet another Must Try! 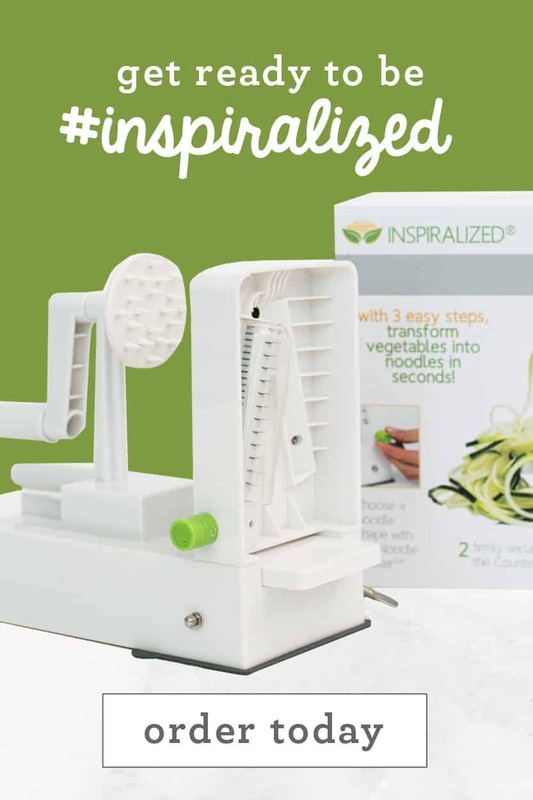 And I have to tell you I love that The Inspiralizer produces a much smaller "woobie" than the other machine! I am confused with the letter on my inspiralizer uses letter C to make noodles and letter D is not for a larger spiral. Why is this? Hi Ali, going to try with zucchini - love the recipe. I have meatballs too in my freezer - score for a great lunch. 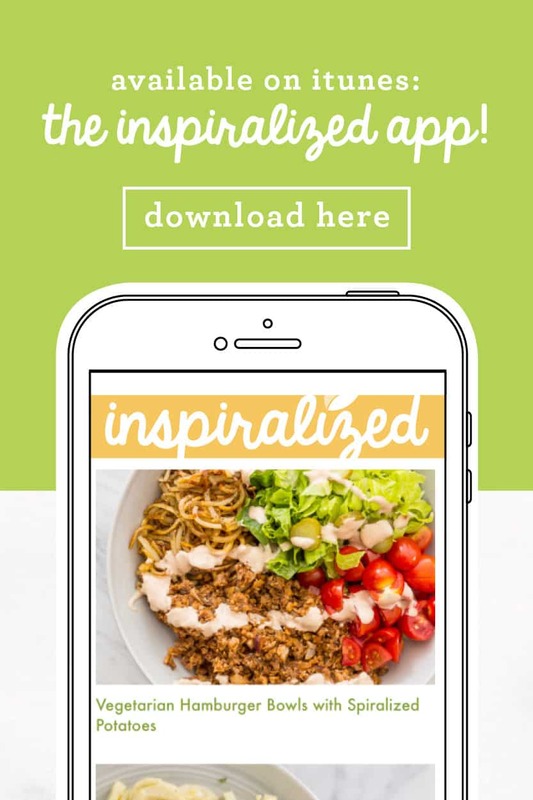 This looks awesome, easy to make, & can do different variations....Thank You Amazed at all the different inspiralized recipes you come up with....just keep them coming!! Hello, Thank you for all the amazing recipes. We have three children and I think this one will definitely "go down well". Never thought about freezing meatballs, am going to make a whole lot this weekend, vacuum seal and freeze so we can make this quickly. Take care and happy inventing! You can make them ahead of time and refrigerate, but they will soften in the refrigerator, so I'd suggest heating them back up in the oven! How do you keep salads from going mushy. 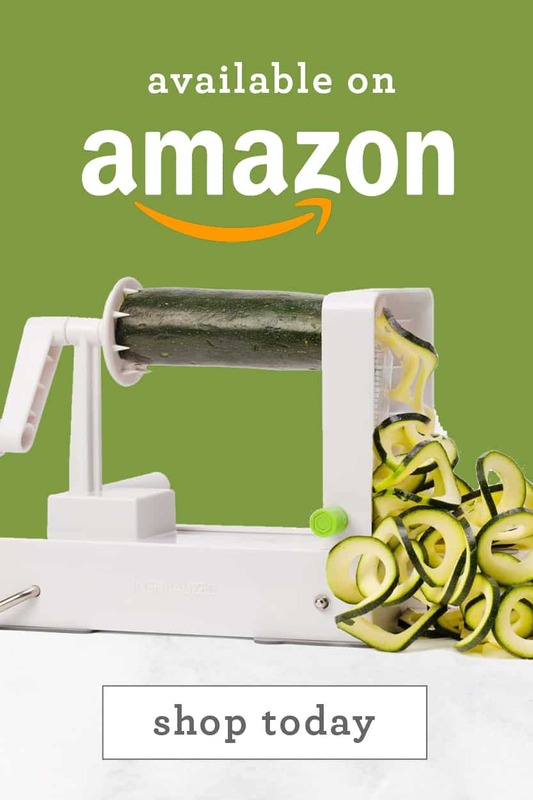 It is the cucumbers that seem to go soft when I Inspiralized them. Wrap them in paper towels but they still go soggy. This was delicious but the potatoes stuck to the sides and bottom of muffin tin even after spraying and parchment strips. Hmmm I wonder what I could have done differently, maybe cook longer? I Think I could have made 8 instead of 6 they seemed very thick not like pic. 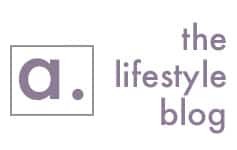 Hi Ali, love your recipes they are so creative! Especially your Italian Pasta Salad...However...why does your recipe state that it serves 6 but in your video you only made 5?? I just want to be sure I have enough to feed my group tomorrow...were your potatoes maybe too small? I also want to be sure I add enough egg to hold it all together if my potatoes are larger...please give any advice you can...thanks!! I made this tonight and 2 russet potatoes made 12 nests!! How do you only get 6? They also didn't crisp up, even after putting them under the broiler. The 2 potatoes after being spiralized produced a lot more potato than what you showed in your video. They still tasted really good but was disappointed with the texture. I will try cheese instead of egg next time as that gives a better crisping texture. Thanks for the inspiration!!! These look delicious! 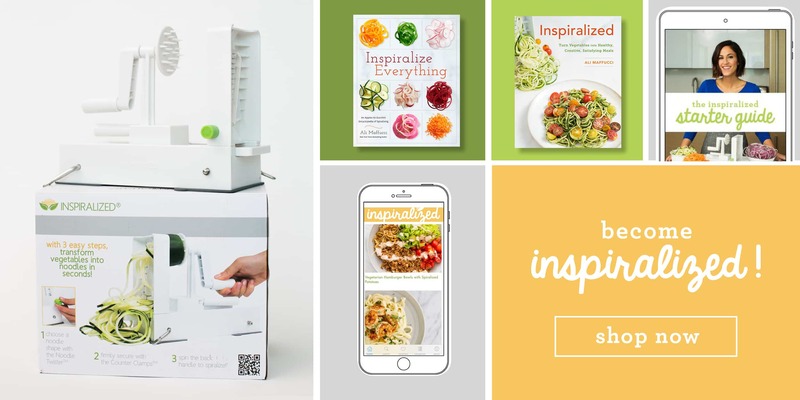 I love all the things you can made with the Inspiralizer! 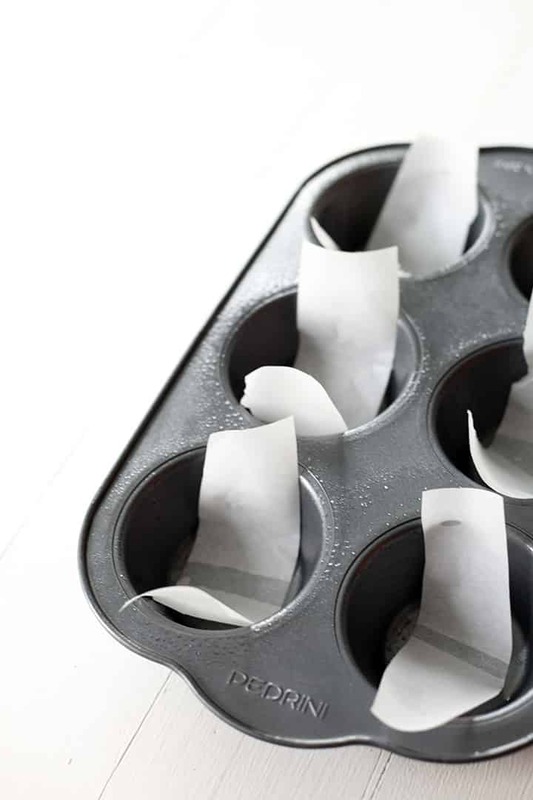 Maybe parchment muffin papers would work well for this. Such a clever idea! They're probably the best snacks for a dinner party or potluck! I love that you can fill these muffins with anything!